Bangkok to Koh Samet travel diary gives you all the information needed to travel from Bangkok to Koh Samet. Koh Samet is a small island located in gulf of Thailand. It is weekend destination for residents of Bangkok and popular among foreign tourist searching peace and relaxation. 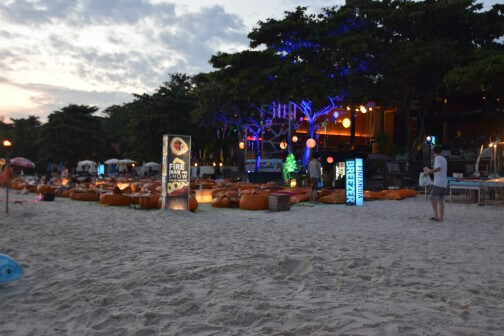 Koh Samet is also famous for destination wedding and parties. 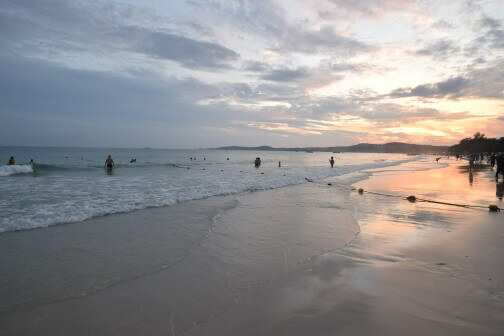 It is covered under “Mu Ko Samet National Park” due to which Koh Samet is one of the clean and unspoiled beach. 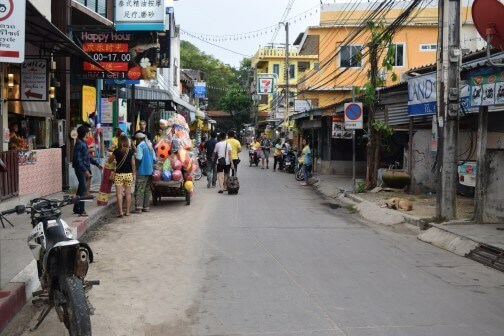 The best way to travel from Bangkok to Koh Samet is via bus which takes around 3-4 hours. You can find bus to Ban Phe (Bus station for Koh Samet) in every 1 hour of intervals from Ekkmai bus station of Bangkok. Bus will cost 200 baht per person. You can also get buses from Mo Chit bus station of Bangkok. 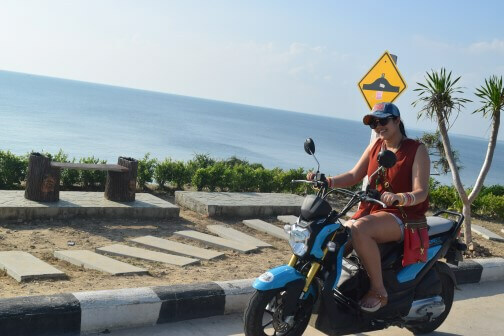 Private taxi: from any part of Bangkok you can book private taxi for Koh Samet which will charge you 2700 baht each way and will takes around 2 hours and 30 mins. Flight: Nearest airport to Rayong district is in Pattaya. From Pattaya you can take minivan which will cost 100 baht per person and takes 1 hour to reach Koh Samet. After reaching Ban Phe,Rayong bus station, there is 1 min walk to harbor. From where you need to take either a ferry or speed boat to reach your port. Ferry cost around 70 baht per person one way and a shared Speedboat is 200 baht for the same. You can also hire a private speedboat. 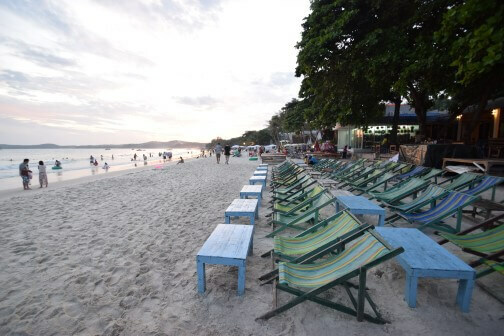 As Koh Samet is covered under Mu Ko Samet National Park therefore at the port before entering to the beach you have to pay 200 baht for foreigner adult, 100 baht for foreigner child, 40 baht for Thai nationality and non-Thai with valid work-permit. 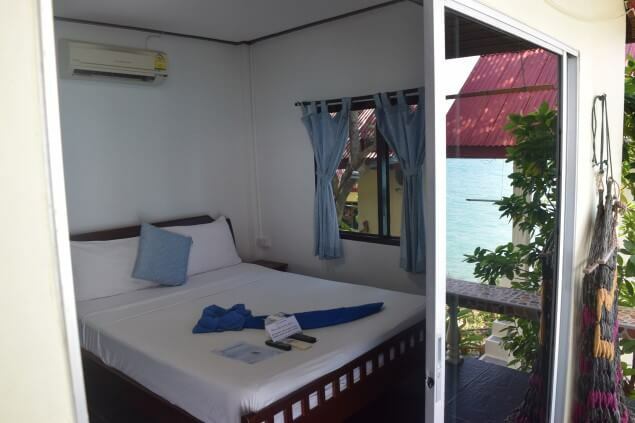 Sunrise villas is very well kept bungalows right on the beachfront which is walking distance from the pier. Beautiful sea view location. Restaurant of the resort is an open dinning at sea shore with lovely atmosphere. Staff is also very friendly. 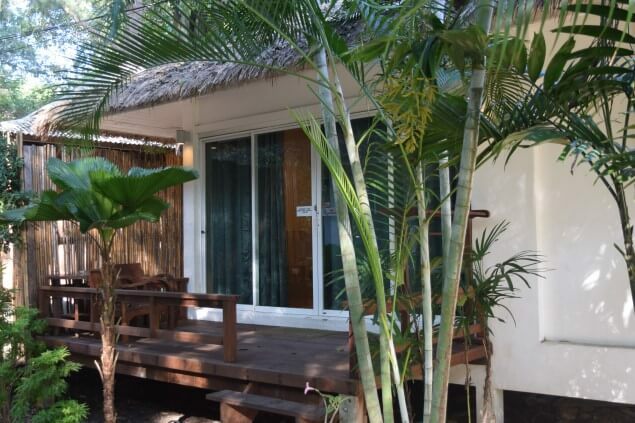 Larrisa is a beautiful resort with beach bungalow rooms. It is situated at Sai Kaew beach. They have a small beautiful private beach. But they have no restaurant. Reading books, sun bathing, making castles of white sand on beach or simply a long sleep on lounge chair choose your way and completely relax you mind and body. Sitting for hours on beach with coconut water and watching waves hitting shore is our best way to relax. Fire work shows are performed every evening after 8pm at Sai Kaew beach and Ao Wong Duan beach. The performance is very spectacular and thrilling. Sunset and Sunrise at any beach is real pleasure to watch. Aura at this time is magical and magnificent. 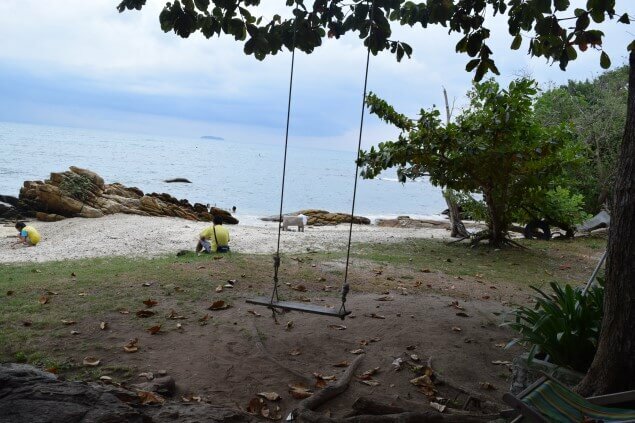 Koh Samet is just 13 km long which can very easily covered on bike. Rent a bike which cost 300 baht for a day. Take a tour and cover all big and small beaches of the Island. There are so many restaurants which offers tables for dinning under stars on the sea shore. You can enjoy for drinks with live music. Fishing is the best and most popular activity. You will often see tourists and even local residents sitting on the rocks and patiently waiting for their catch. Koh Samet Island offers many water sports such as parasailing, kayaking, water surfing and swimming which are environment friendly. Just like all other islands in Thailand, Koh Samet also offers day tours to nearby islands. 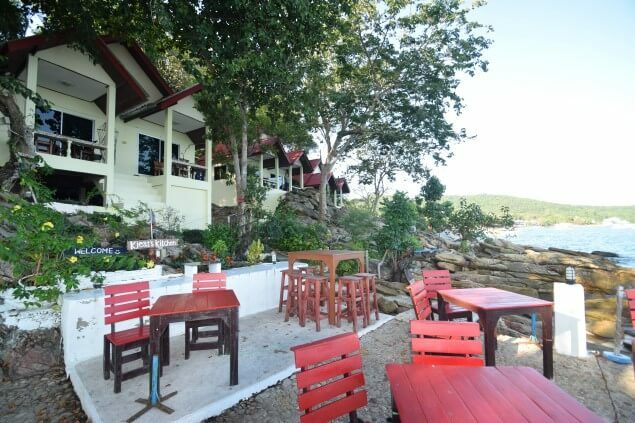 Koh Samet beach restaurants offers fresh and delicious sea food and also have international menu on display. Tables are available on white sand with music and fire work. But my personal favorite are the restaurants located on the main road from Nadan Pier Street near Sai Kaew beach. There are so many options of fresh food restaurants. 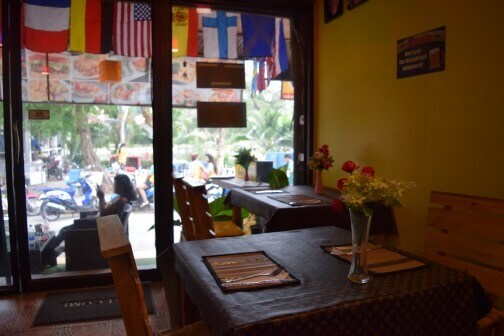 You will get authentic Thai dishes and even great variety of international cuisine. Perfect Dough restaurants (specialty is Italian cuisine) worth to mention which best in town and value for money. 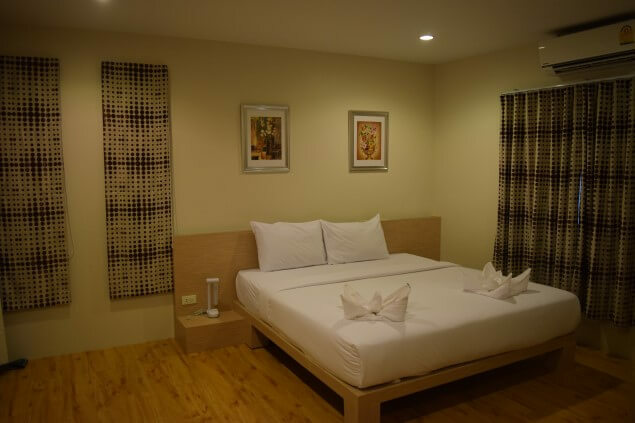 As it is near to Bangkok so it is very crowded in weekends due to which you can even get 50% increase in rates, so advance booking will be cost effective. Buy beer and snacks from 7-11 at best prices. Maximum duration of stay should be 3 days else you will get bored. Carry your mosquito spray to avoid being bitten by mosquitoes. It is a quiet island in weekdays prefer weekends when the island is in partying mood. Thanks for sharing this amazing and helpful information. Cheers!! !